These sprockets are for use with double row chains. They will operate with standard double strand chain. 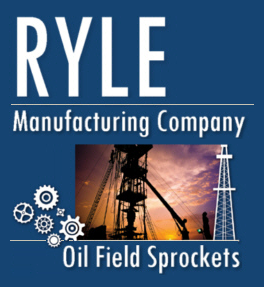 Ryle Also carries inventory on Triple Strand and Quadruple Strand chain sprockets. At Ryle Manufacturing Company, we always place the customers needs as the highest priority. Providing the finest American craftsmanship, materials, and distribution to the Power Transmission Industry. Ryle can deliver Double Chain Sprocket from our huge inventory, or custom make to your specifications. See our standard sprocket catalogs here.